I’ve written numerous novels about the Amish. I first became interested after meeting a couple in Montana. My daughter introduce me to them! They grew up Amish and lost two daughters in a horse-and-buggy and semi accident. As I learned more about their lives, I found great stories for novels. And as I learned more about the Amish while researching books, then I gathered all that wisdom and compiled it together in the One Year Book of Amish Peace. I have loved getting to know more about the Amish. I was really inspired by their Anabaptist history. As I learned about their fight for religious freedom I realized what I’d taken for granted. 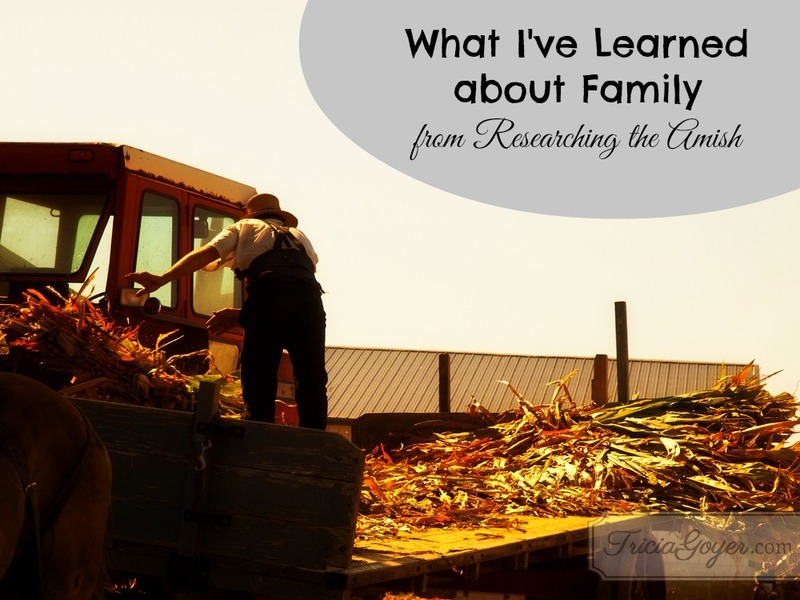 By researching the Amish I realized I was trying to do too much—filling my life with too much. And I started to focus more on what mattered. Some things I focus on are family dinners, quiet time with God, and connecting within my community. I say no to a lot of thing so I can focus on what’s most important. Yes, it is hard saying “no” to things. We have six kids, and four of them are at home, but for this season we are doing NO extracurricular activities. For me it’s more important to have dinners around the table together. I love making dinner . . . that’s similar to the Amish! And I love gathering around as a family. Our son is married, and he, his wife, and two little babies are over at our house two to three times a week for dinner. I love that! John and I decided it was more important for our kids to know each other and us—and especially God—than it was to be busy all the time. I am going to let them do some outside activities as they get older . . . but just being around family is building a foundation for life! The Amish are usually surrounded by family: moms, dads, grandparents, aunts, uncles, cousins. They “do life” together. They also share the load with their neighbors. Everyone’s load is lighter when they have help! Researching and talking to the Amish also made me realize how similar we are as God’s children. The Biblical people, the Amish people, me and you as modern people all have the same inner issues and struggles . . . and God is the answer to them all! I loved being able to dig into the Amish foundations and beliefs. I honestly think I know more about some of their heritage than most of them do. I also really focused on the balance of law versus grace. Any of us can get so focused on “being a certain way” that we forget that God’s grace covers everything. It’s true for the Amish and for any of us!